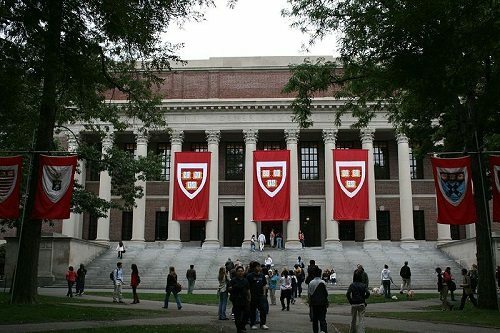 On Wednesday, November 19th, seven students and environmental activists at Harvard University filed a lawsuit claiming that Harvard has violated its charter policies by not divesting from fossil fuels and beseeching the court to compel the university to abdicate all its holdings, direct and indirect, in the industry. The 11-page complaint cites that Harvard’s status as a public charity and nonprofit corporation are at odds with its refusal to divest. Further, “Harvard Corporation has recognized its obligation as an economic and intellectual leader to respond to climate change.” Therefore, the complaint indicates, Harvard’s knowing avoidance of divestment while acknowledging the damage caused by fossil fuel usage is contradictory to its “special obligation and accountability to the future [and] to the long view needed to anticipate and alter the trajectory and impact of climate change,” as affirmed by Harvard’s president, Drew Faust. The seven plaintiffs—Alice M. Cherry, Benjamin A. Franta, Sidni M. Frederick, Joseph E. Hamilton, Olivia M. Kivel, Talia K. Rothstein, and Kelsey C. Skaggs—are known collectively as the Harvard Climate Justice Coalition, include undergraduates and graduate students, and are also part of campus climate change group Divest Harvard. The lawsuit is also brought on behalf of “future generations” that would accordingly be impacted by climate change. The lawsuit names as defendants the Harvard Corporation, the Harvard Management Company, and Massachusetts Attorney General Martha M. Coakley. As noted on their website, the group will not be utilizing a lawyer for the suit, although three of the seven members of the Coalition are law school students. Coalition member and Harvard Law School student Kelsey Skaggs noted that students have been frustrated at the university’s lack of response to calls for divestment. In an October 2013 letter, Faust said, “While I share their belief in the importance of addressing climate change, I do not believe, nor do my colleagues on the Corporation, that university divestment from the fossil fuel industry is warranted or wise.” University spokesperson Jeff Neal, in a response to the suit, wrote to the Harvard Crimson, saying that although the threat of climate change must be confronted, university leaders “sometimes differ on the means” to do so. Skaggs believes the lawsuit will continue to push the issue of divestment, whether or not it is successful. It’s the latest in a number of very public steps made in the past few years in protest against the university’s stance against divestment. A group of Harvard faculty has been seeking open dialogue in a public forum about the issue. Their most recent statement from September 9th, addressed to William Lee, the Senior Fellow of the Harvard Corporation, was just a one of a series of letters sent to an administration that’s steadfast in its continued reliance on fossil fuels.